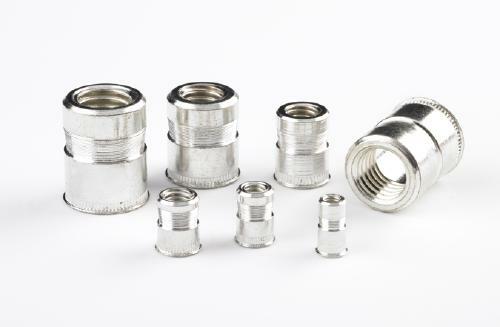 The MEMFAST "MEMSERT" (Swaging Insert) is designed to provide load bearing threads in thick materials and blind holes. The insert features a mechanical locking mechanism for applications requiring a higher push through and pull out resistance. The Swaging Insert only needs access from one side of the workpiece and can be installed in pre-coated or post-painted panels without damaging the surface. Its low profile head allows a near flush fit to the panel. 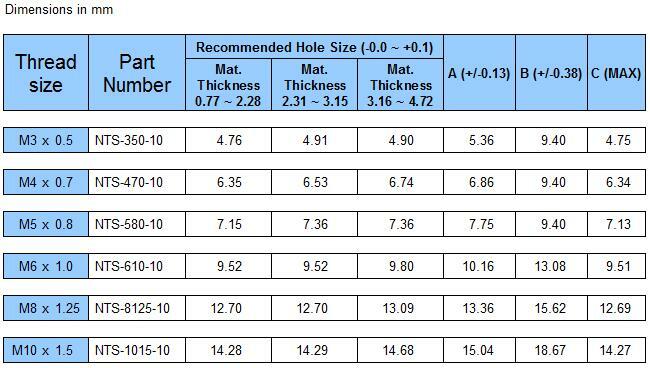 They are ideal in light duty sheet metal applications into thicker materials where other inserts may not be suitable.